Veggies Rule: What Should We Eat? In this modern age there's a saying going round "Don't eat anything your grandmother wouldn't recognize" in my opinion it's a statement that's pretty near to the truth. Mind you, for a lot of you young ones, you may like to change that to great grandmother…? If we go back to that era most people we able to grow their own produce, they had veggie gardens and fruit trees from which they could eat fresh and what was over they preserved. 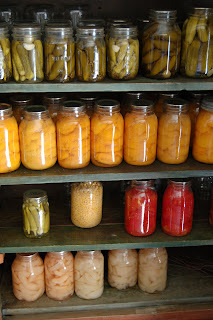 I can remember my own mother (yes I'm now approaching 60 so I did live back then) bottling fruit, preserving vegetables, making jam along with pickling onions, bottling spaghetti in rich tomato sauce and a host of other chutneys and sauces which filled our pantry shelves and kept us with delicious food all year round. Now days it is totally impractical for the average person to be able to do these things, mainly because we live in cities and suburbs and don't have the space to grow bountiful crops of anything. We now have to rely on the commercial growers, the commercial canneries and the commercial purveyors of foodstuffs to provide us with those things our grandmothers did themselves. But here's the rub. The difference is that these tinned foods are now laced with all sorts of preservatives, colors, chemicals etc not to mention the sprays, GM and other nasties that are used right at the beginning of the growing cycle. There are over 80 food additives that are considered dangerous - not really that many is it???? Here's the link to get that list. Would your grandmother recognize the quality of the foods that are on our shelves today? Would she approve of the added sugar and salt in foods? It's not a question of going back to that era - that's just not going to happen for the majority of people. 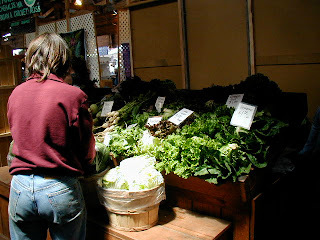 What we can do though is support our local farmers markets, try and buy foods that are fresh and spray free, look at the labels on the foods we do buy at the supermarket and start to demand foods that are not altered or added to with substances that we can't even pronounce or that would have even existed in our (great) grandmother's day. How true! Though we have advanced much ahead with time, we had done it by sacrificing nature in the process. Everything is about speed and convenience, making us lazier and more reliable in machines and technology. And it is technology that introduce preservatives to extend the shelf life of those products which labels say "natural". It's interesting how we have all the technologies to "save time", yet we seem not to have enough hours in the day. This "lack of time" has brought about the rise in convenience and fast foods which in turn is making our health deteriorate. Yes, I wish we had the foods and cooking practices of our grandmothers.